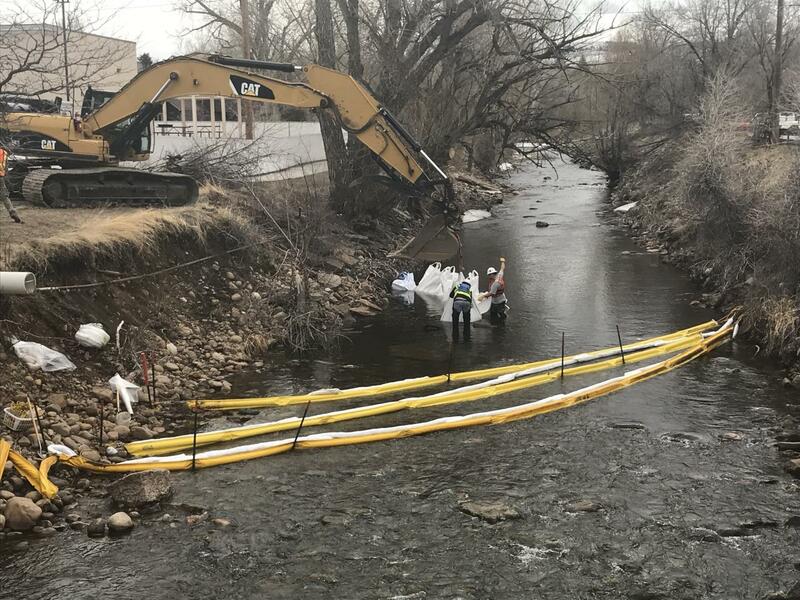 At approximately at 5:00 pm on April 2, 2019 the Lander Fire Department responded to a report of gas fumes coming from the Middle Popo Agie River upstream of the Main Street Bridge. 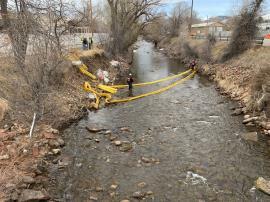 The response team confirmed that a sheen existed on the surface of the Middle Popo Agie River in Lander, Wyoming. 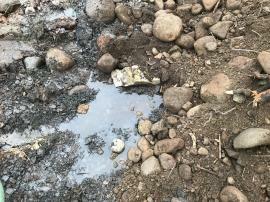 The source of the sheen is a location in the river bed just south of Main Street. 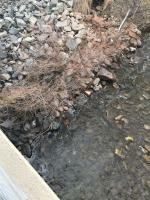 Containment boom has been placed in the river by the Lander Fire Department at the point of the discharge and at a precautionary location several miles downstream. 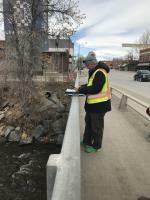 An EPA Region 8 On-Scene Coordinator and START contractor were deployed and arrived on-scene on April 4, 2019. 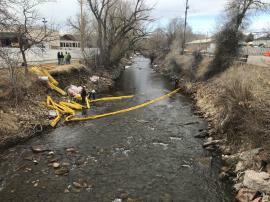 The Lander Mayor, Fire Department, Police Department, City Works, State of Wyoming Department of Environmental Quality (WYDEQ), State Contractors, Fish and Wildlife, EPA, and EPA contractors have all responded to the discharge.